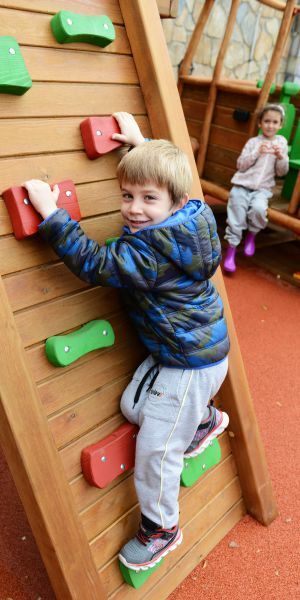 Our kindergarten students at IELEV takes full time German education and meet the German languageat the age of four. Our German education program is enriched in a way that ensures our 8th grade students to get to B1 level, IELEV Private High-School students to get C1 level according to the measurements of Deutsches Sprachdiplom (German Proficiency Certificate). DSD (Deutsches Sprachdiplom); students from all over the world who study German in the 14-19 age range participate in each year and prove their proficiency in German language; It is an examination system which can be applied to the universities in Germany, Austria and Switzerland or to the Studienkollegs (University Preparatory Schools). ZfA (Zentralstelle für Auslandschulwesen), the German government's coordinating school for German-language schools in foreign countries, supports and supports 3 main programs - Dirtur, GIB and DSD - outside Germany. The German Ministry of Culture accepts DSD exams as the only school exam in which the German language is tested as a foreign language. In 2015, as IELEV Schools, we were granted permission to submit DSD exams. Our students attend the two-step DSD exams in the 9th and 11th grades. Students who can take the B1 level as a result of the ’DSD I’ exam in the 9th grade will be able to apply to the Studienkolleg (University Preparatory Schools) in Germany, Austria and Switzerland with the Deutsches Sprachdiplom I (German Language Proficiency Certificate I). Students who can take C1 level in the DSD II exam in the 11th grade will be able to apply to Deutsches Sprachdiplom II (German Language Proficiency Certificate II) and apply to universities in Germany, Austria and Switzerland. Please click for the English Introduction days. The Gemischtsprachiges Internationales Baccalaureat Diploma Program is an international program that includes all the modules of the International Baccalaureate (IB) Diploma Program and is also valid in more than 100 countries. Students who will have a diploma; In Germany, Switzerland and Austria, they will have the privilege to continue their higher education for free or for a small fee. Students who will graduate from IELEV Private High School; Gemischtsprachiges Internationales Baccalaureat Diploma Ministry of National Education English Proficiency Certificate (ESOL, IELTS, TOEFL) We aim to have a German Proficiency Diploma (DSD I and II). Please click for the English Introduction days. 21st century skills aiming to educate advanced students in the 2014-2015 academic year with the IELEVTech (One-to-One Tablet Teaching Project) is at the center of our educational technology teaching service. For this purpose, iPad is given to all teachers and to all students from the 5th grade. The classrooms are equipped with Apple TVs and the iMac Laboratories are opened to all age groups. The courses are carried out digitally through iTunes U in academic system integrity. Primary school 1-4 Classroom levels include Scratch, 5 and 6 grade grades in Python and 7th grade, iPad and Swift Playground. At the high school level, the IELEV Digital Authors club and iBooks and iOS design studies were presented as club lessons. Coding studies are carried out with the support of classical code writing, as well as graphical coding and gamification support. In 2015, IELEV was chosen as a sample school in the world with IELEVTech Project by Moris Cook that is the creator of Explain Everything. 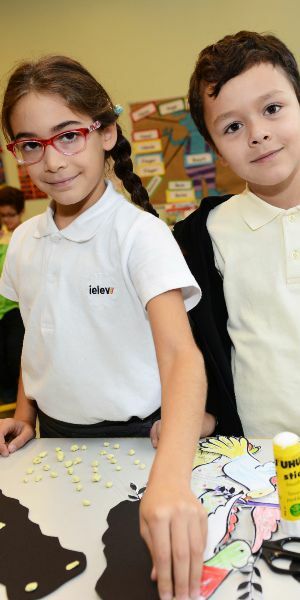 IELEV is a researcher school based on the education. Art, music and sports are the indispensables of young people to look at the eyes of education. In our schools, we create and guide our students to explore their talents. We give them the chance to display their talents by organizing their own activities. 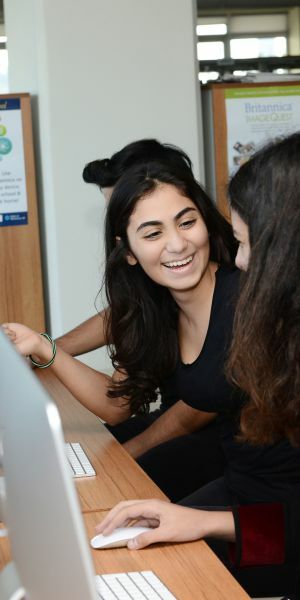 IELEV Private High School, is the first and only school offering education in both languages with both German and English preparatory classes in Turkey. In English and German preparatory classes, it is applied according to their distribution in 20 + 8 hours and in the following grades in 6 + 6 hours distribution. This is because every student has to take some courses in German and some German in order to receive the Gemischtsprachiges Internationales Baccalaureate Diploma. From the 9th grade, branch courses are conducted in Turkish, German and English within the framework of the MEB and GIB Diploma Program. IELEV is the only high school in the world that has built its curriculum on three languages (Turkish, German, English). Please click for the English Introduction days. Dear parents, our candidates, you can easily reach from here details about our schools.